The trope of the tortured genius is a familiar part of modern culture. Once we preferred our heroes straightforward and tediously successful. Now, those whose personality flaws, criminal records, or mental illnesses stood in the way of them realising their potential are now far more au fait. Or perhaps, now, we just prefer human heroes to superhumans who were always going to succeed. One thinks of the recent film biographic of Steve Jobs, which paid equal lip-service to his many flaws as to his pioneering work in the technological world. 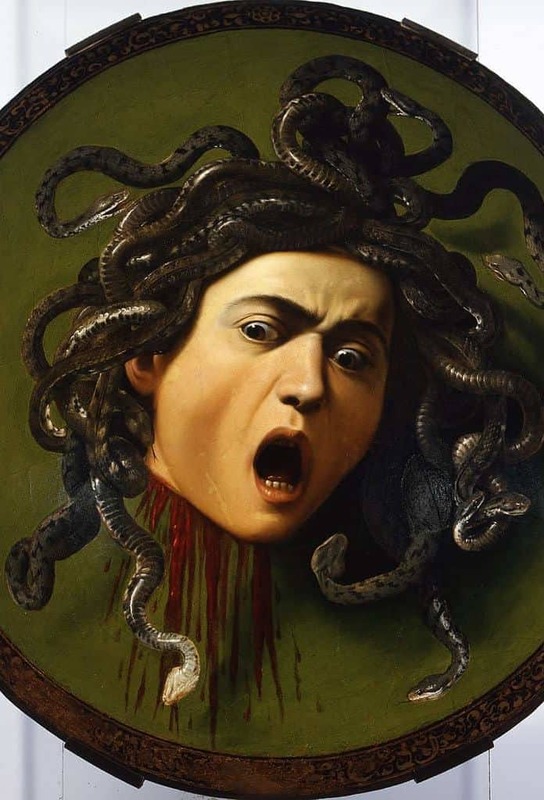 Perhaps the archetypal flawed genius is Michelangelo Merisi da Caravaggio. Caravaggio may have died a few months before his 39th-birthday but, boy, did he pack a lot into his short life! Caravaggio must be one of the most naturally gifted painters of all time, a man whose uncompromising approach to artistic innovation was so great that it almost completely overshadowed his impressive criminal record. What makes Caravaggio all the more extraordinary is that he managed to stand out at a time when sublimely talented artists were ten-a-penny. Here we will tell his story and, most importantly, discover what made him a genius by examining his work in detail. To immerse ourselves in the life of Caravaggio, we must begin by learning something of the world he lived in. Caravaggio was born in 1571, at a time when Italy was a collection of city-states. The city-states were rivals in trade and power, and their mutual dislikes were exacerbated by alliances with France and Spain, rivals who owned territory in Italy. With the election of the Holy Roman Emperor Charles V in 1519, the French saw the threat of Hapsburg dominance of European affairs, and declared war upon him, in alliance with Suleiman the Magnificent, Sultan of the Ottoman Empire. This culminated in the Italian War of 1551-59 (above), which Charles won with the help of the Spanish. The Peace of Cateau-Cambrésis allowed France to keep a few of its territories in Italy, but also confirmed Spanish dominance. Thus it was into Spanish Italy that Caravaggio was born. The Spanish rule was authoritarian and resented by certain people, but did ensure a period of peace and stability in Italy. Unfortunately, Italy’s economy simultaneously declined as new trade routes opened up with the wider world, reducing the value of the country’s trade with other nations, upon which it traditionally relied. The 16th century also saw the decline of the Papal States after the Protestant Reformation wrested power from an increasingly corrupt Catholic Church. The Papacy no longer had any diplomatic control over nations which had turned Protestant, and even in Italy its powers waned as Catholic princes sought independence from Rome. However, the Catholic Church responded with the Counter-Reformation after 1545, which included not only the attempts to reconvert Protestant countries but a reaffirmation of Catholic practices. To achieve this, the Church became a great patron of the arts, which it saw as central to spreading the word.